Bradford hasn’t practiced with the team for a week. After his latest absence from the field on Thursday, coach Mike Zimmer said again that surgery is not needed for Bradford, only rest. Zimmer said he doesn’t think Bradford’s injury will be a long-term concern. Bradford was declared out shortly before kickoff on Sept. 17 at Pittsburgh, then two days before the most recent game against Tampa Bay when he traveled to seek a second medical opinion on the knee. This time, the Vikings served a three-day notice that Keenum will lead the offense. 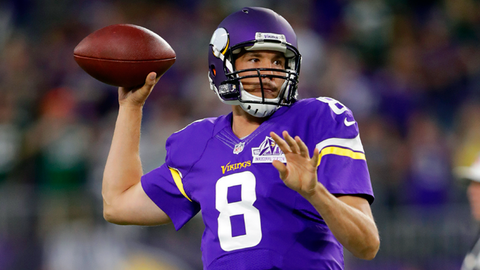 He turned in a career-best performance as the Vikings beat the Buccaneers 34-17 .